It was time to catch up with Phoebe and Chrissy for some dinner and wine, a sort of reunion of our Ireland tour. But where should we go? Chrissy had an old bottle of Fleurie she wanted to share, so we needed BYO. 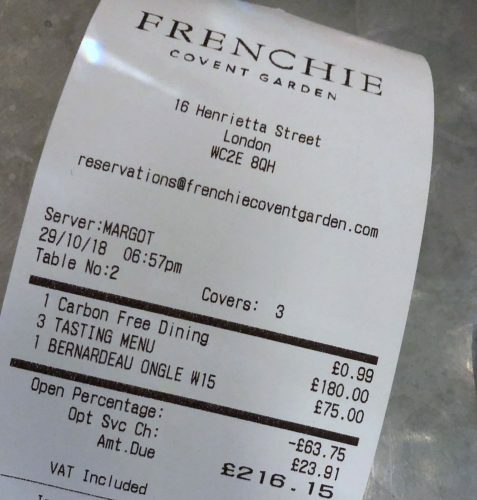 A perfect solution unfolded: free corkage and 20% off the bill on Monday for trade folk at Frenchie Covent Garden, somewhere I’d been keen on checking out for a while. 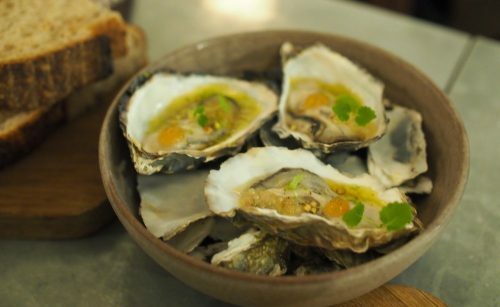 Chef Greg Marchand already had a thriving bistro and a wine bar in Paris before setting up here in London, and the central location is a bit of a relief: it’s nice not to have to schlep east for once in source of gastronomic joy. The dining room is long, modern and quite beautiful, and the front of house and service excellent. 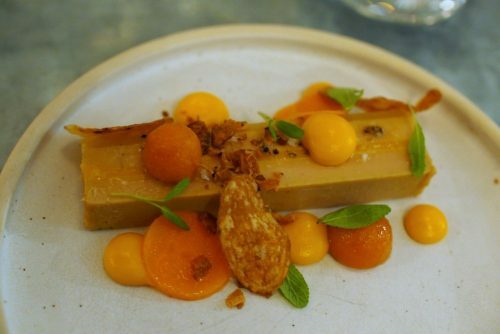 We opt for the tasting menu, at £60. We were bring a bottle each. 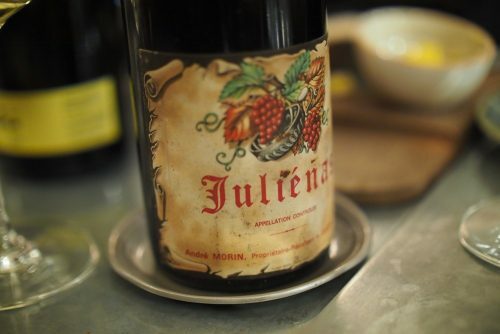 Christina’s old Beaujolais (a 1973 Julienas) was beautiful, as old Bojo can often be. Delicate, ethereal, hints of venerable decay, and sheer drinkability. I bought a concentrated, mineral Swiss Chardonnay that cost me a fortune and was perhaps just about worth it. 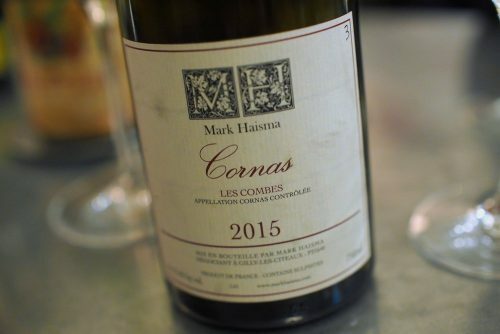 Phoebe bought the fab Cornas Les Combes 2015 from Mark Haisma, still youthful but harmonious and layered. But we still ordered from the list, which is incredible. This is one of London’s great lists from the wine geek’s point of view, natural heavy but carefully chosen with some rare gems. This is what we chose from the list: the Les Onglés from Stéphane Bernaudeau: a Loire beauty that deserves its own write up. 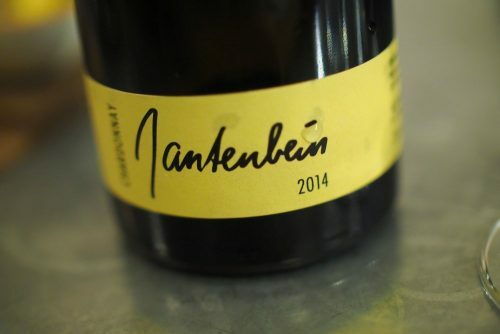 Reductive in the most perfect of ways, this is a Chenin up there with the best from Richard Leroy. The food is classic French bistro, with some skilful flourishes and a dash of adventure (but not too much). 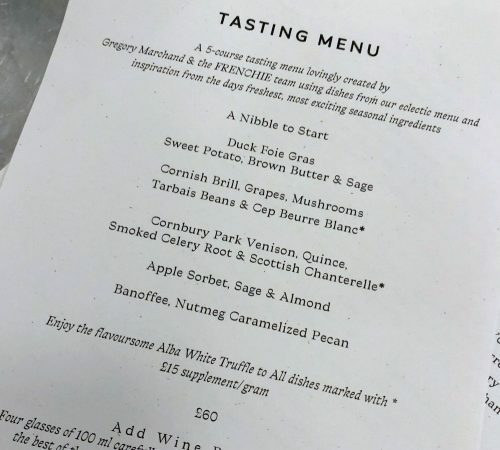 It’s a nice tasting menu in that it’s not wanky. These are proper dishes. 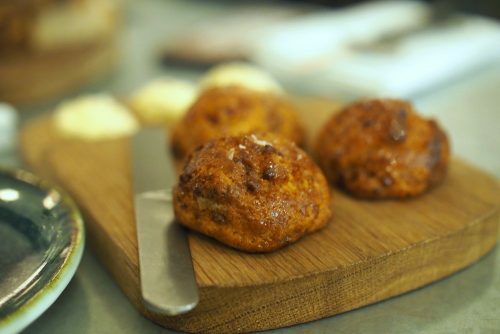 Bacon scones a very strong start. And followed well with a tasty oyster, fancily dressed. Duck foie gras appropriately embellished with blobs of stuff. Pretty tasty combination. 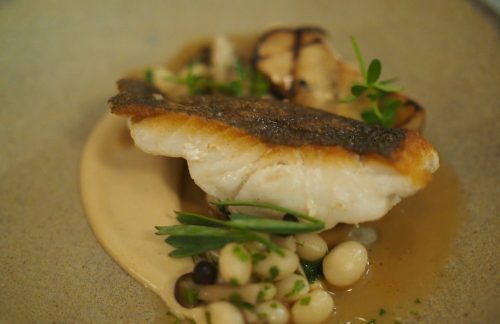 The fish – Cornish brill – a beautiful dish, perfectly cooked. This was really good. 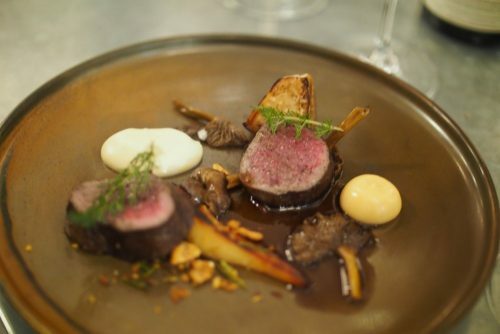 The meat dish was venison. Again, this is extremely competent cooking. It’s just I’m a bit bored with dishes like these. This was my least favourite, but I imagine it would be a huge hit with more conservative diners. Verdict? Franchie is good. Very good. If you want Michelin-star-standard French bistro grub and no nasty surprises, then this is perfect. And the whole place oozes competence and confidence. Next time I go, I’ll raid the wine list, which is one of the best I’ve seen in the capital.